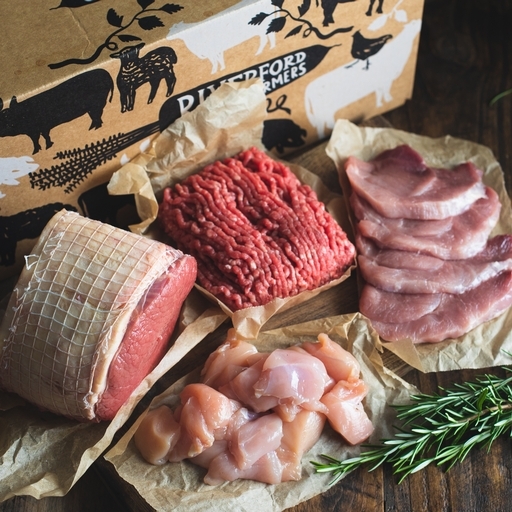 Enjoy ethically produced organic meat with our Large Everyday Meat Box. Packed with a mix of four easy-cooking cuts, such as mince, diced meat, prime steaks and chicken breasts, including the occasional roasting joint. Our organic meat is 100% British, grass fed and carefully sourced from a small group of Westcountry farmers. We prepare it here in the Riverford butchery. Delivered in insulated packaging to keep cool on your doorstep.